Layovers are sometimes an irritating necessity during travel. Arriving at the airport and boarding a plane, then deplaning a short time later only to repeat the entire boarding and flying process a second time can make even a seasoned traveler a little crazy. Since terminals across the globe are largely similar, layovers generally represent dead time. You are not getting any closer to your destination, and there is little to do as the time ticks by until your next flight. Fortunately, there are several ways to make a long layover less excruciating. Below are our tips for making use of your terminal-time. So the next time you consider staring at the wall or enjoying an overpriced drink in order to pass the time, remember these tips and do something productive with your long layover. If you are taking a particularly long flight, your devices are likely low on battery. During your time on land, take the opportunity to recharge your laptop, e-reader, smartphone, and tablet. Outlets in airport terminals can be scarce since everyone else undoubtedly had the same idea. Bring a power strip with you and immediately turn one outlet into several. That way, you can charge all of your devices without hoarding the opportunity. 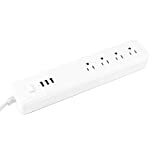 If you choose a power strip that has both USB ports and traditional wall sockets, you can charge everything quickly and efficiently. It can be really difficult to sleep on airplanes. The drone of the engine, cramped seating and stale air can make dozing off an accomplishment, to say the least. If rest escapes you while you are in the air, then get some rest during your waiting time on land. Just make sure you are in a safe, low foot-traffic area, and keep your item secure and on your person. If you have a travel companion, consider sleeping in shifts for security. If you want to really rest comfortably, bring an inflatable pillow with you. It won’t take up much luggage space, but can easily save you from a sore neck or back. We recommend a wedge pillow. It can be used under your head or under your lower back in a chair. Reading is a fantastic hobby that not a lot of people can find the time for. A few hours lounging around a terminal present the perfect opportunity! If you bring an e-reader with you, you can carry literally read thousands of titles that you can download with a cell signal. 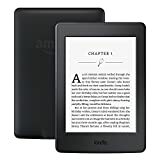 So if you can’t decide between fiction, nonfiction, adventure, or romance, pack an e-reader in your bag and you won’t have to choose! E-readers that use digital paper are not just perfect for a long layover but also for the park or beach since they can be read in direct sunlight. A single charge can last for weeks. If you have been sitting in a cramped airline seat all day, a layover can offer a fantastic opportunity to stretch out and get some feeling back in your legs. You may not have time to leave the terminal, but most terminals are super large. A few laps can offer a great little walk. Plus, it will give you a chance to window shop at all of the retail locations, and check out where other planes are headed to. It can be super fun to just daydream about the locations you see up on the departures board. So make sure you’ve got some comfortable walking shoes in your carry-on luggage. Bonus if they are slip-on since lower extremities can swell up during long flights. The absolute best way to remember your trip is to journal it when the memories are fresh. Even if you don’t journal normally, a few quiet hours during a layover can be a great time to get some of your best experiences down on paper so that you will not forget them. Having a specific travel journal that you only use to document your trips is a great way to form the habit. Pretty soon you will want all of your trips jotted down in a convenient little journal. Try to find something low profile that slips into your luggage easily. Then all you have to do is remember to bring it out while you are waiting for your next flight! Never overlook the versatility of a deck of cards. They are compact, easy to transport, and contain the potential for hundreds if not thousands of games, both team and individual. Just find a flat service, shuffle up, and deal! You can easily make friends with other waiting travelers or just perfect your solitaire strategy. When you are ready to board your next flight, just toss the deck back into your bag and be on your way. If you have an artistic flair, then consider bringing along a sketch portfolio. Between the people watching, the planes taking off and landing, and the often-inventive architecture of airport terminals, you will have plenty of subjects to choose from. Even if you aren’t a great artist, there is no better time to practice than with a long layover between flights. Sitting in cramped airline seats can take a toll. If you are someone who gets stiff and sore following a long flight, consider finding a corner of the terminal to practice a bit of yoga. You don’t need to rock a Vinyasa flow to feel the benefits of some stretching. There are low profile, very effective poses and stretches that you can do without feeling like a spectacle. Enjoy your downtime during your long layover!